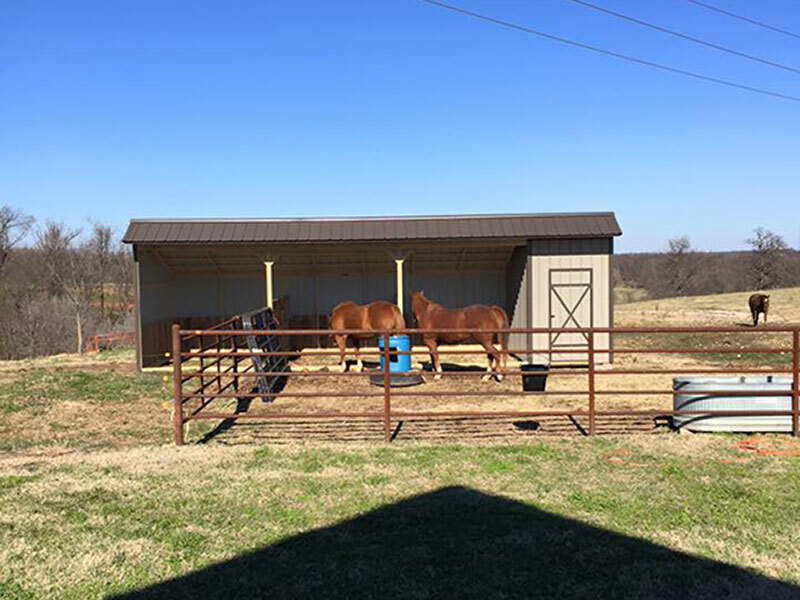 These horse sheds are popular with both horses and their owners. 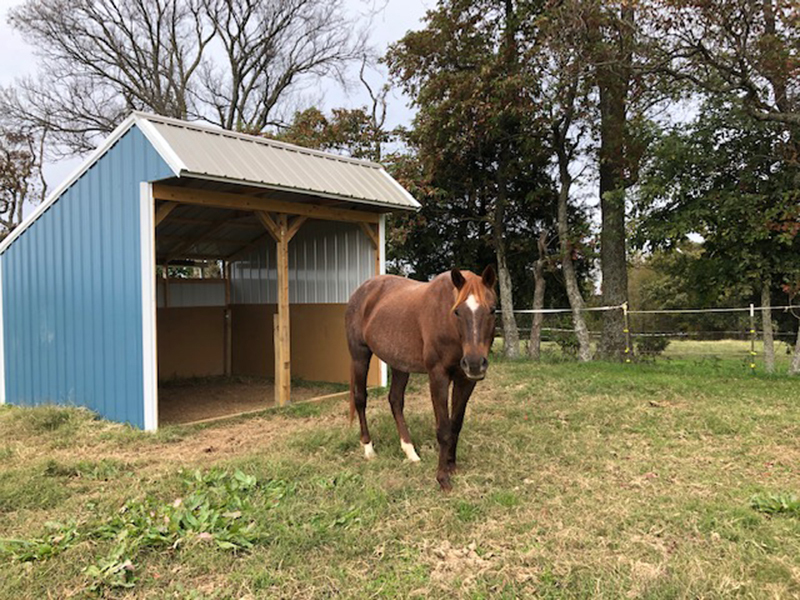 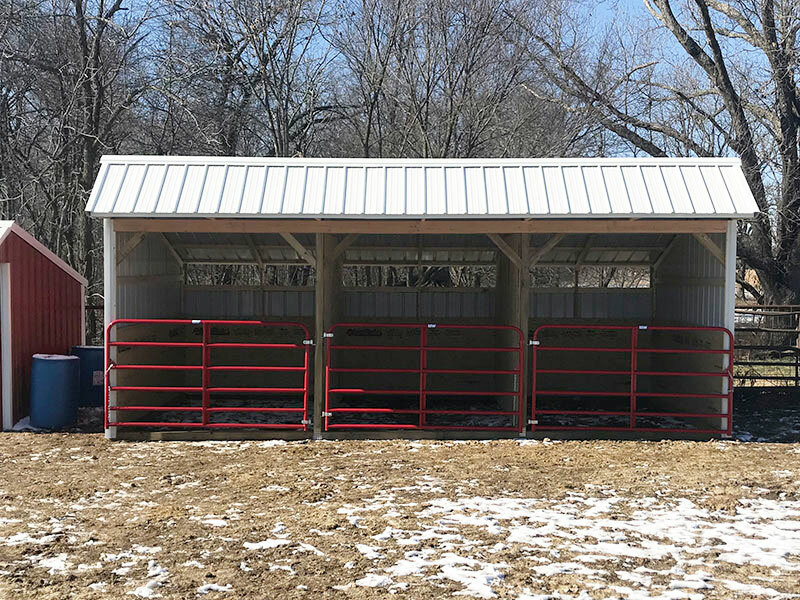 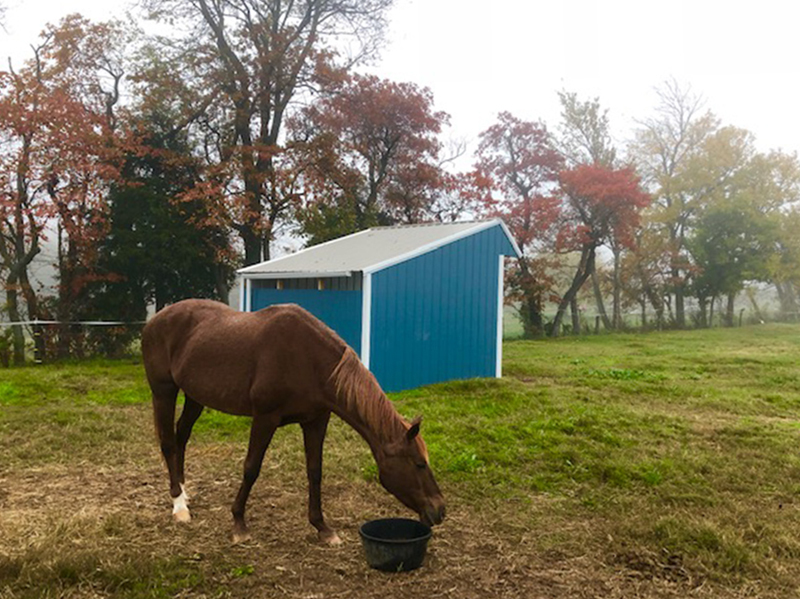 Coming standard as just a basic, yet rugged lean-to shelter style, you can upgrade these shelters to a full-fledged stable by adding on a tack room (or two) and any other custom features you want. 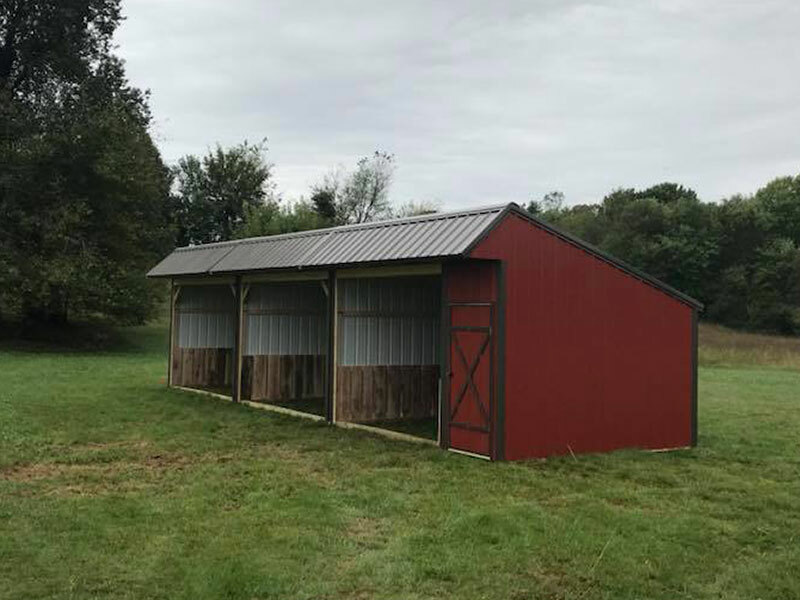 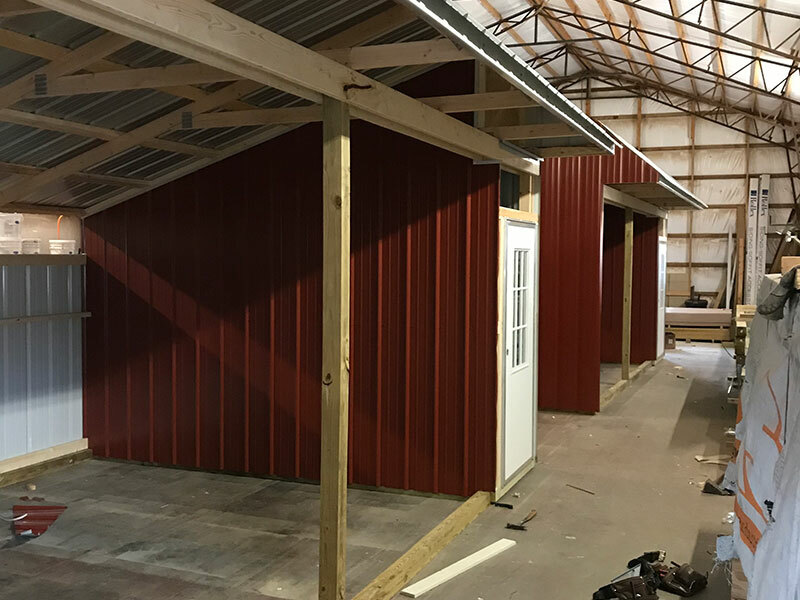 We offer 9’ wide and 12’ wide horse barns with multiple lengths for delivery and can build as wide as 14’ as an on-site horse shed. 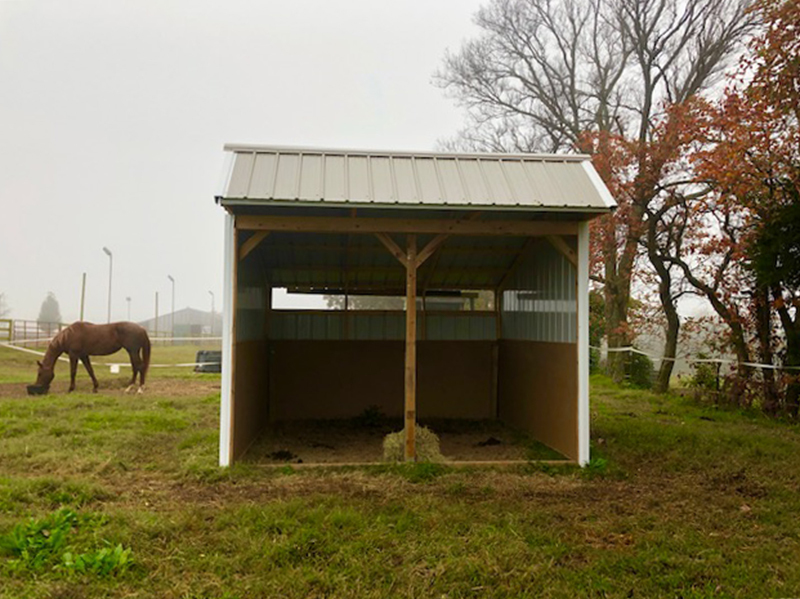 This is a very affordable and practical way to provide shelter for your horses. 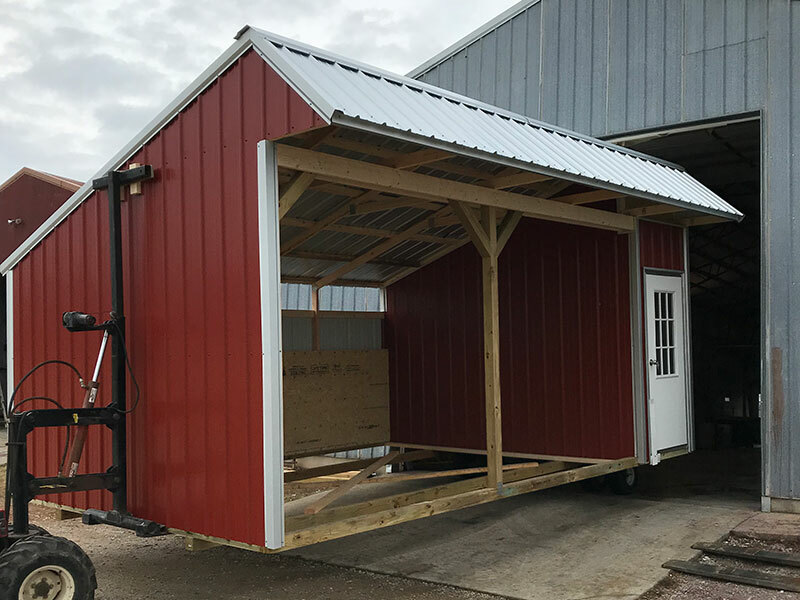 Get One of Our Horse Sheds Delivered To You For As Low As $1,746. 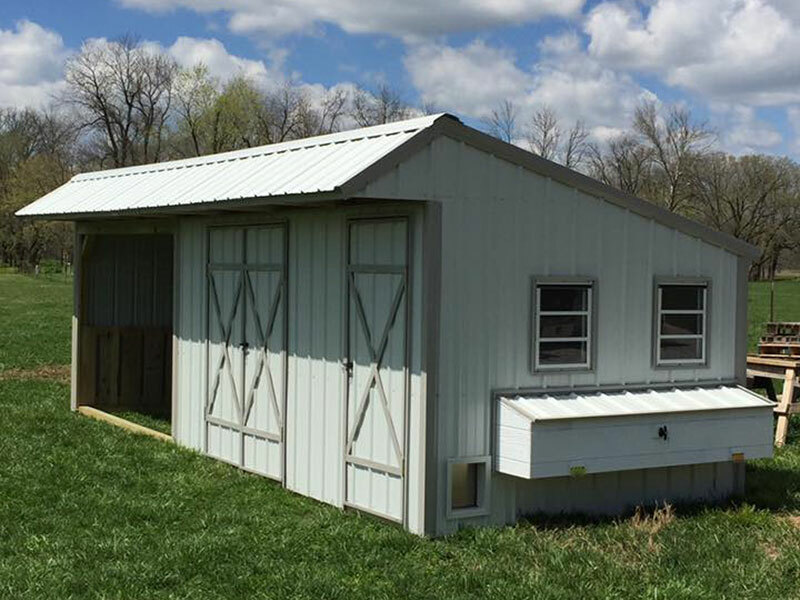 We work hard to build these horse barns as sturdy and durable as possible. 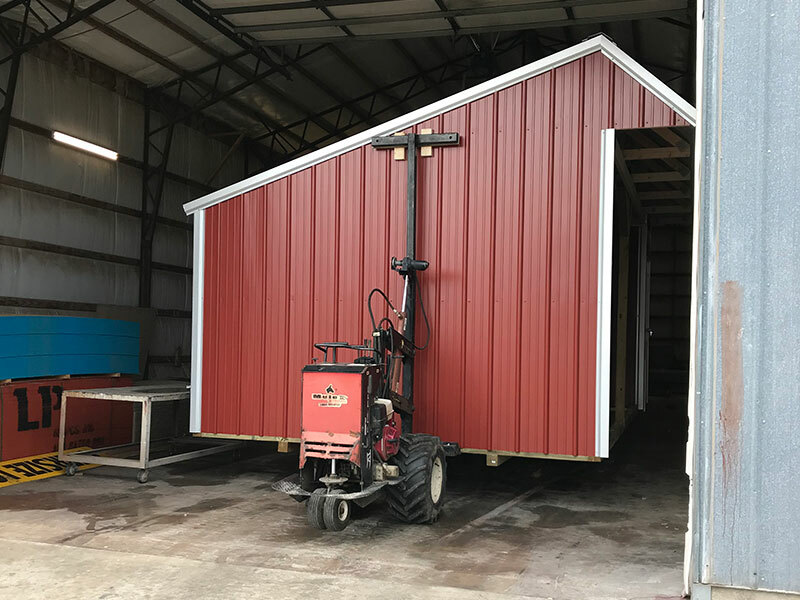 When you buy a shed from us, it should last a long-time and require very little maintenance. 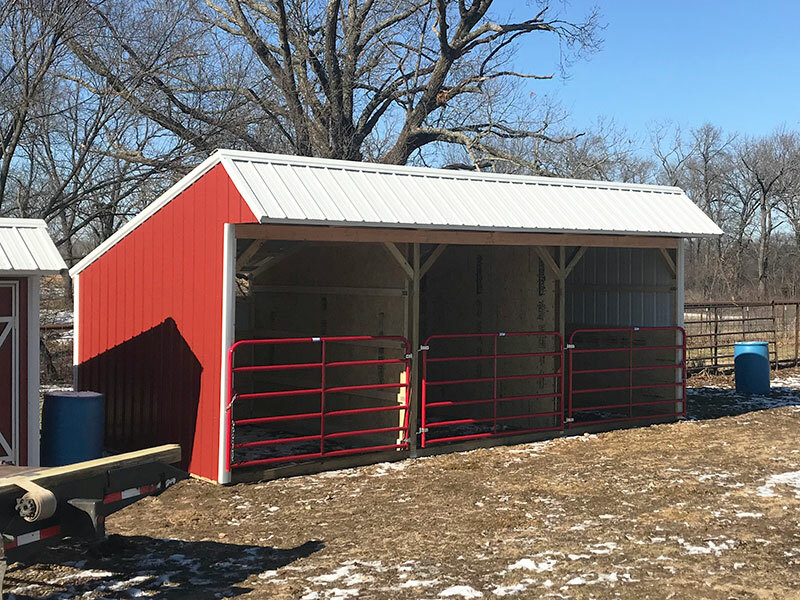 We’re so confident about this that we will always fix anything that goes wrong with one of our horse barns. 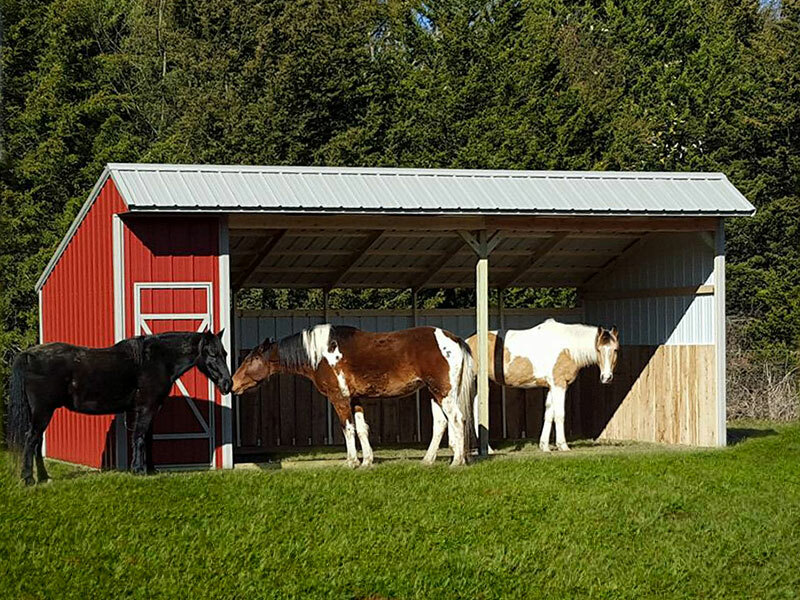 We stand by what we make.